Is Thailand a Water Sports Destinations? Thailand isn’t just about sandy beaches and beautiful temples. Waterspouts may not be the first thing that comes to mind when you think of Thailand, but believe it or not, it’s got it all! From kite surfing to water skiing and everything in between, Thailand’s got it! 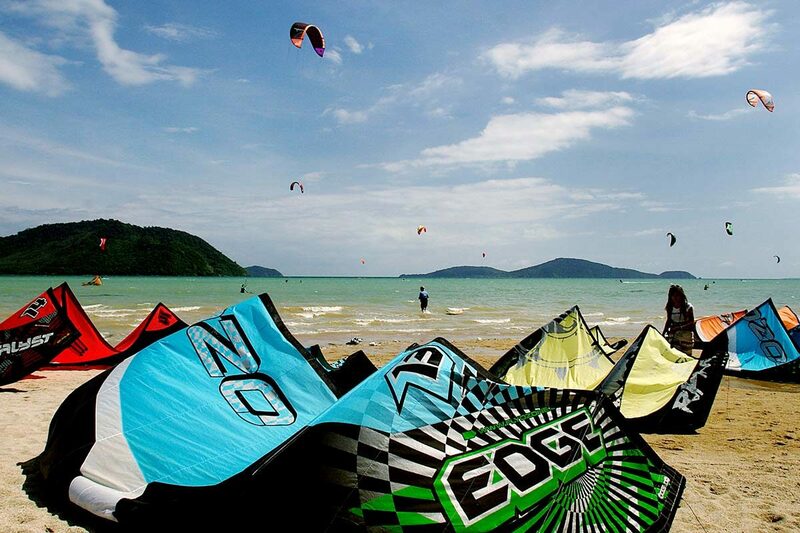 Kite Surf Phuket – Lucky for us, Kite Surf Phuket is located just around the corner from us on Friendship Beach. Pop in to rent your kite and sail away on the blue waters of Phuket. Low season is the time for kite surfing as the water has more momentum and the wind is more breezy. Paragliding – You can find paragliders all over Thailand, but Phuket is definitely the place for it. Whether it’s Kata Beach or Naiharn beach, you’ll be able to find your boat and get gliding. Banana Boats – If you prefer it a little rougher, try banana boating. Although it’s not a smooth sailing ride, you’re guaranteed for a laugh. You can find this on most beaches in Phuket. White Water Rafting – Not for the faint hearted, white water rafting is guaranteed to get your heart racing. The best place for this is definitely in Chiang Mai where they specialise and have guides there who know the waters like the back of their hand, so you’ll be in safe hands! Water Skiiing – Head off piste to one of the more remote islands like Koh Lipe or Koh Lanta for a real water skiing adventure. Whether you’re a first timer or a pro, the experienced guides will be on hand showing you the ropes and making sure you get the most from your water skiing adventure. Surfing – Low season is definitely the time when all the surfers come out of the woodwork and get on their boards. Further south is guaranteed better waves, so beaches like Naiharn beach will be your perfect match for riding those waves. Kata Surf House – If surfing isn’t really your thing but you want to give it a go without the big open water waves, try Kata Surf House. This place is designed for surf lovers in a more lighthearted way. With makeshift waves and currents, it’ll be the perfect place to practice those balancing skills…. although don’t be fooled, this is no easy option! Paddle Boarding – Paddle boarding is one of the most popular waterspout activities here in Thailand. Almost anyone can do it. Grab your board and paddle away. There’s something so calming about being on the board in the middle of the ocean with nothing but nature around you. Sunrise and sunset are our favourite times of day to get out and paddle!